Driving west on I-70 from Denver led us into the start of the Wild West, but we began much, much earlier in time. Near the exit for Golden, CO is a sign noting “Point of Geological Interest.” With such advertising, we couldn’t pass it by. We pulled into the “Mammoth” park and ride lot. The other lot was named “T-Rex,” and the whole section labeled the “Jurrassic Park and Ride.” The Golden, CO transportation department has a sense of humor. From the parking area, a short path took us to an interpretive sign and a view of a massive road cut, where workers cut into the mountain while building the highway. 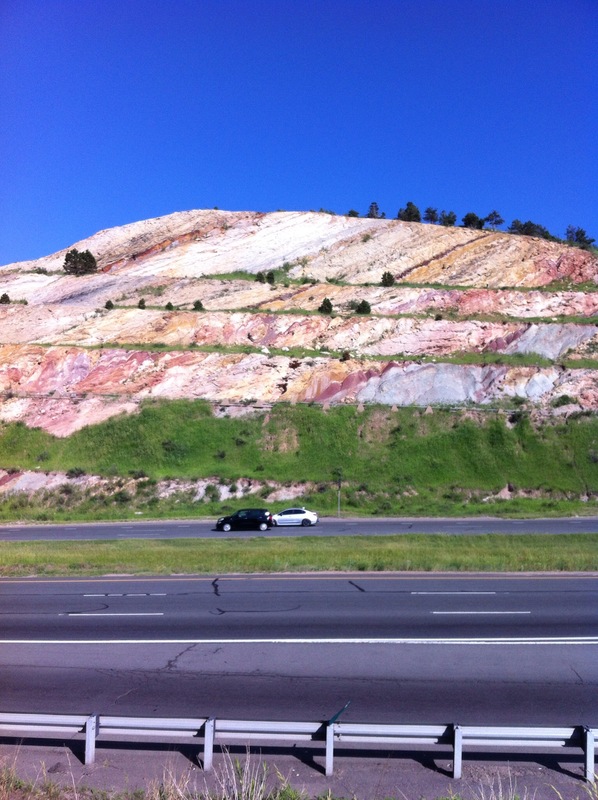 The clearly colored layers of rock, show the extreme folding and uplift that occurred when the Rocky Mountains were formed. 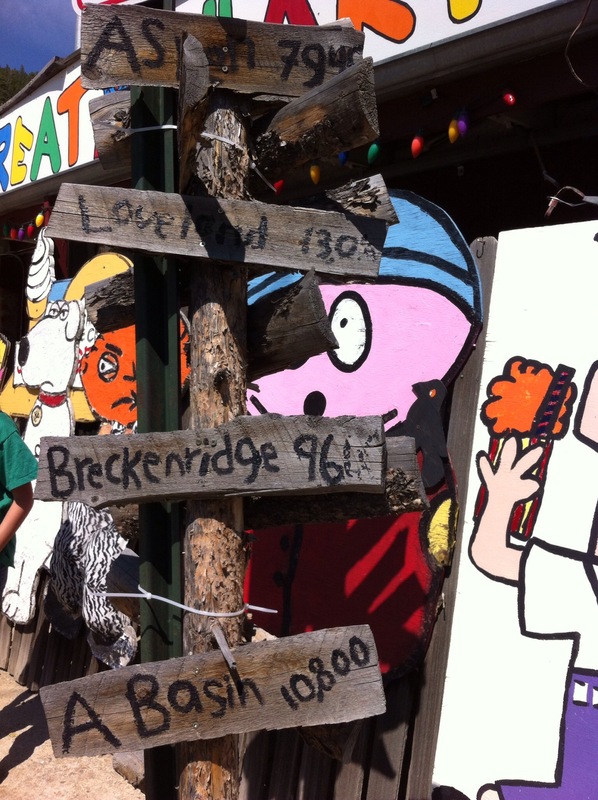 Boy was not impressed, and declared it “not interesting,” despite its signage. Moving on, we climbed (in the car) up Lookout Mountain. At the park on the top, we had spectacular views of Denver and of the surrounding mountains. 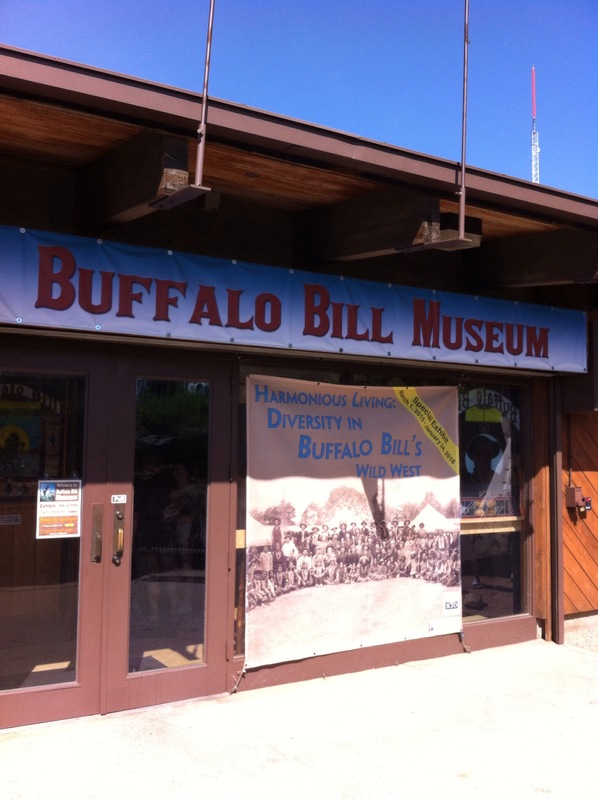 After his death in 1917, William Cody, was buried here, so the top of Lookout Mountain is also home to the Buffalo Bill Museum and Gravesite. 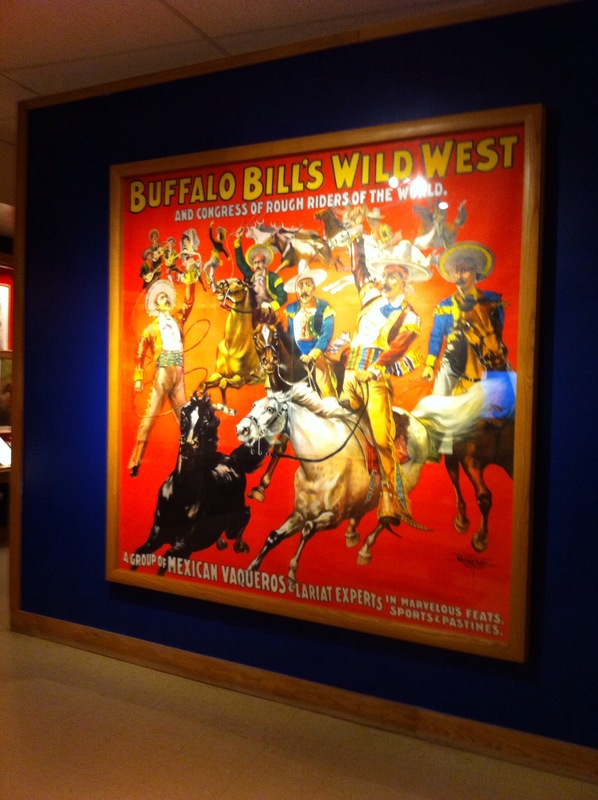 The museum is packed with memorabilia from the Buffalo Bill Wild West Show, including Native American artifacts, saddles, show posters, costumes, and LOTS of antique guns. 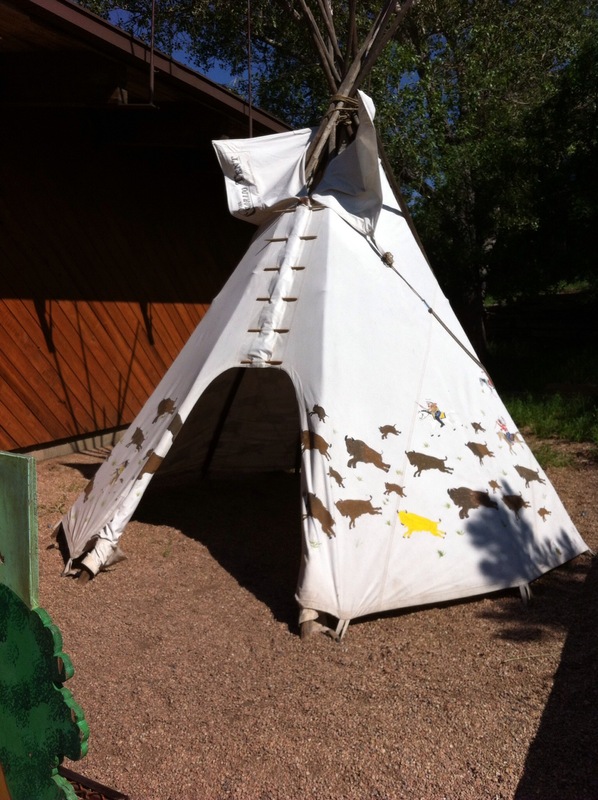 A family area includes cowboy clothing for children to try on, and a model horse to ride. 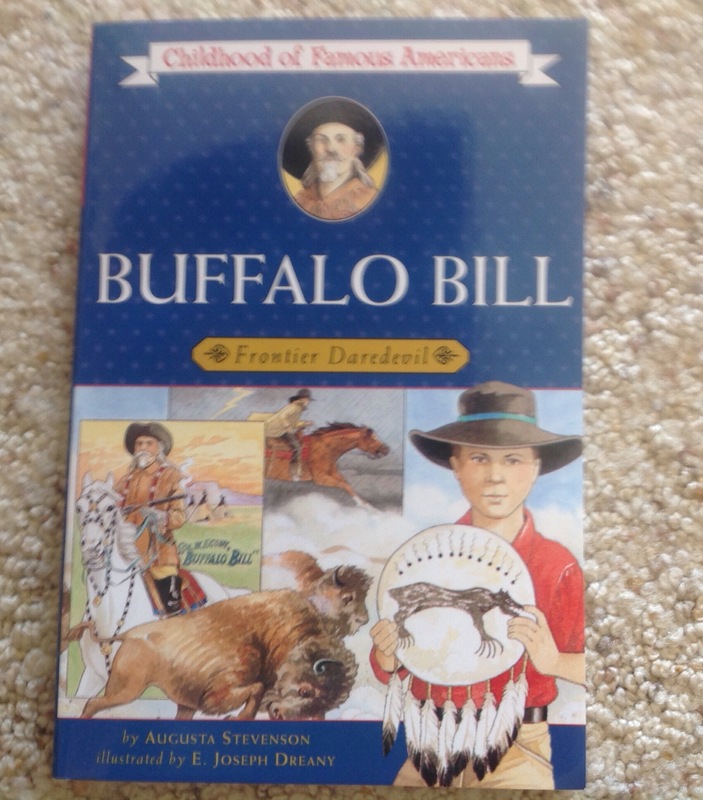 We skipped the buffalo burgers at the cafe, next to the museum, but did find a new book in the gift shop. Our final stop for the drive was Empire, CO, off I-70 and onto Hwy 40 through the mountains. 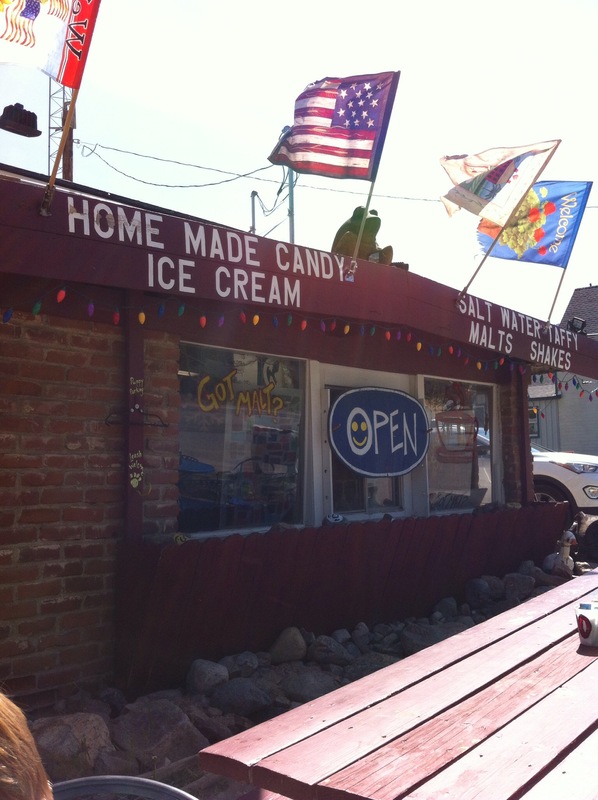 The town is home to two specialty ice cream shops. We chose the one with cartoon characters for a malt and a sundae break. ← Prairies, rocks, arrowheads, and snakes? !